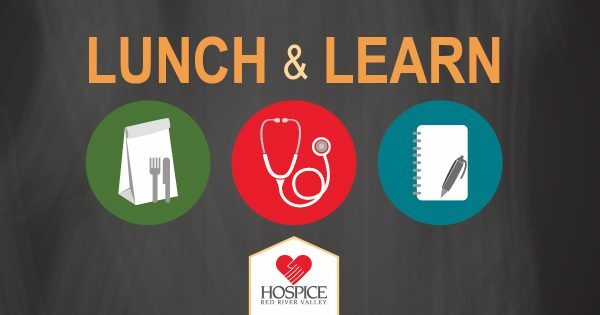 Hospice of the Red River Valley invites health care professionals to its Lunch and Learns as we continue to explore various topics related to end-of-life care. Hospice of the Red River Valley’s January Lunch and Learn will take place on Tuesday, Jan. 9, 2018, from noon-1 p.m.
Beth Landers from New Perspective Senior Living will present on the topic of “Brain Fit.” Attendees will gain an understanding of the normal aging process in the brain as well as recognize the signs and symptoms of dementia and other cognitive impairments. Participants will learn about brain fitness tips and the healthy foods that support brain development at any age. The four pillars of “living life on purpose” will also be covered. Click to download and print a lunch and learn flyer. This event is free and open to all health care professionals, but pre-registration is required because space is limited. Participants may bring their own lunches; coffee and water will be provided. RSVP to Laurie Asmus: laurie.asmus@hrrv.org or (701) 356-1563 by Jan. 2, and indicate which location you will be attending. Lunch and Learns are free and open to all health care professionals. Lunch and Learns in 2018 will be held every other month starting in January on the second Tuesday of the month from noon to 1 p.m. Specific topics and descriptions will be shared closer to each date.